1. Assistant Commandant General Duty (Male) - (i) Candidates who have passed Bachelor’s degree from any recognised university with minimum 60% marks in aggregate (i.e, 1 st Semester to 8th Semester for BE/B.Tech Course or 1st year to last year for Bachelor Degree Candidates wherever applicable). (ii) Mathematics and Physics as subjects up to intermediate or class XII of 10+2+3 scheme of education or equivalent with 60% aggregate in mathematics and physics. (Candidates not in possession of Physics and Maths in 10+2(intermediate) or equivalent level are not eligible for General Duty (GD) and General Duty (Pilot). 2. Assistant Commandant General Duty (Pilot) - (i) Candidates who have passed Bachelor’s degree from any recognised university with minimum 60% marks in aggregate (i.e, 1 st Semester to 8th Semester for BE/B.Tech Course or 1st year to last year for Bachelor Degree Candidates wherever applicable). (ii) Mathematics and Physics as subjects up to intermediate or class XII of 10+2+3 scheme of education or equivalent with 60% aggregate in mathematics and physics. (Candidates not in possession of Physics and Maths in 10+2(intermediate) or equivalent level are not eligible for General Duty (GD) and General Duty (Pilot). 1. Assistant Commandant General Duty (Male) - 01 Jul 1993 to 30 Jun 1997 (Both dates inclusive). 2. Assistant Commandant General Duty (Pilot) - 30 Jun 1999 (Both dates inclusive). 3. Assistant Commandant General Duty Pilot (CPL) - 30 Jun 1999 (Both dates inclusive). 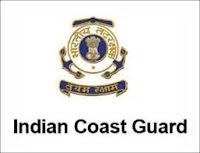 (ii) Maximum 5% relaxation in aggregate in the degree certificate for SC/ST candidates, NCC ’C’ (A grade) holders, Sports person of National level (Inter State & above) and wards of Coast Guard uniform personnel deceased while in service. No relaxation for 12th class marks. (iii) Coast Guard reserves the right to fix the cut off percentage for issue of PSB call up letters.